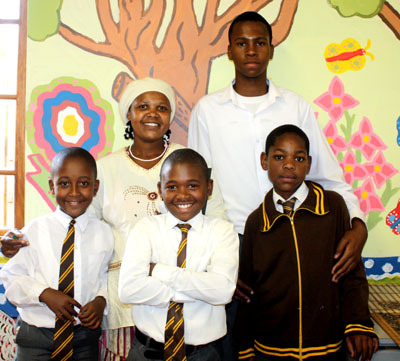 Kwa Cutshwayo Primary School, in Kwa Zulu Natal province, South Africa introduced Room 13 in 2008 as part of an initiative by TBWA\ South Africa to establish Room 13 in every province. Since the Room 13 project has been introduced, the learners have been able to explore a wide variety of materials and creative processes. Mural painting, drawing and painting techniques, three-dimensional work, paper mache, and using plastic and waste materials to create original work.